Think tank Reform argues that blockchain could "hand back control of data to the citizen". Blockchain could be the key technology behind an overhauled ID assurance, according to a leading UK think tank. In its new report, entitled “The future of public service identity: blockchain”, Reform says the UK government could use blockchain technology to upgrade the country’s digital ID assurance efforts, through a cross-departmental approach which “puts the individual at the centre of identity management”. Something similar to what Estonia is already doing. Blockchain is a decentralised digital ledger technology used to power Bitcoin. It also has the potential to be used in other industries, like financial services or traffic. Reform claims that Gov.uk Verify isn’t doing a good job. The uptake has been slow, the information in provides often insufficient, prompting departments like the HMRC to keep using their own systems. Blockchain could change all that. The control of the public service identity could be moved ‘from government to the individual’. Databases would be kept up to date through automation. “This means moving from siloed departments holding different and even contradictory versions of a person’s identity to a user-stored identity, in an identity app on a smartphone,” said the report. Security could be improved through biometrics, either facial recognition software, or fingerprint scanning. “Taking the example of the passport, the individual would only use their public key when verifying their information with the Border Force,” Reform said. 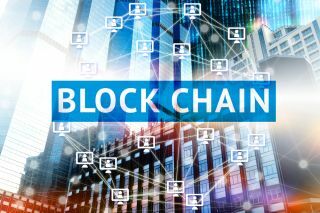 To learn more about the blockchain technology, make sure to check out IT Pro Portal’s blockchain hub.